For every wedding vendor that you hire, you must be clear on your expectations. When hiring a wedding photographer, you might think that your expectations are pretty straightforward. 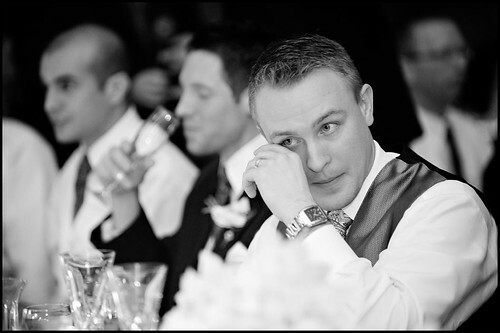 You want your photographer to capture the essence of your wedding day. You want to see photographs that will last for the rest of time. You expect those classic shots with the bride and her mom and a frame that captures the look on the groom’s face when he first catches a glimpse of his new life partner coming down the aisle. In a perfect world, your wedding photographer would read your mind. They would know that you might not get along with that cousin at Table 6 and thus don’t want a thousand photographs of her. They would understand capturing certain relationships is important. However, wedding photographers are not mind readers. They need some direction for how you want your day to come across on film. In order to ensure that you aren’t disappointed with your wedding day album, be sure to go over these areas with your hired photographer before they get snap happy and produce hundreds of shots you don’t need or want. Many brides get their wedding photographs back, only to be disappointed that their photographer failed to capture their beloved Uncle John or best friend from college. Instead, you have countless frames of relatives you would rather not add to your wedding album. With wedding photographers, you can’t assume that they will capture the people you want them to on your wedding day. 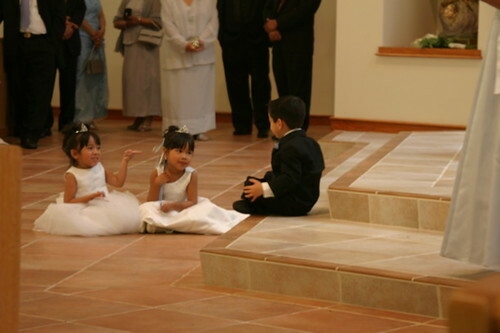 You need to be specific and stress which relatives and friends you would like photographs of on the wedding day. If you just assume that they will get the classic shot of you coming down the aisle with your dad or shots with your mom, you might be disappointed when you don’t see either shot in your wedding album. It is vital for couples to stress not just which people to photograph on the wedding day but also what moments are important to capture. If your photographer is clued in to these shots, they most likely won’t miss them. You should never assume that your photographer knows exactly what moments you want. While it seems like their business and a given, not all wedding photographers click away at the right moment. Many photographers are drawn to photographing children, which could produce quite a few photographs of tiny tikes in your wedding album. As a couple, you need to stress to your photographer if you want to limit or increase the number of photographs of children at the wedding. While they might be cute photographs for the parent of that child, they aren’t necessary what every bride and groom wants in their wedding album. 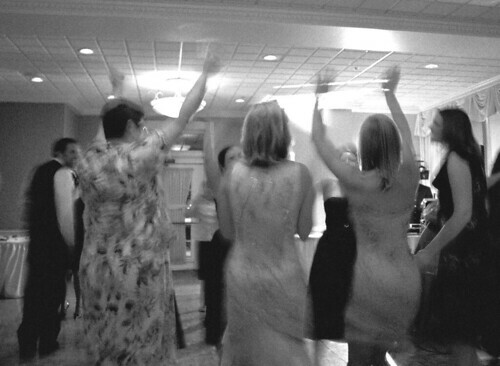 When I received my wedding photographs, I was somewhat disappointed to see a wealth of dancing shots of various wedding guests. While these shots showed how everyone was having a great time, they don’t always make for frame-worthy moments. If you would rather your photographer focus on the key dances such as the bride and her father, be sure to stress that you don’t necessarily need those partying, dancing photographs of random wedding guests. Especially if your photographer is limited to a certain number of hours, you want to make certain that they are focusing on capturing the truly lasting moments at your wedding, rather than the throw away, awkward dancing photographs. In the case of my wedding, I hired a husband and wife photographing team. The wife would come to my location the day of the wedding to capture the bridal party getting ready. The husband would head to the groom’s hotel to capture that side of the wedding preparing for the main event. While this might just be personal preference, I wished that I had limited the time the one photographer spent with my groom getting ready. As most guys will tell you, they don’t take much time or effort to get ready. There were a lot of shots of the groom and his groomsmen merely standing around. However, I felt as though I didn’t have as many shots of the bridal party getting ready. If I had had both photographers with me, I might have gotten the shots that I wanted. 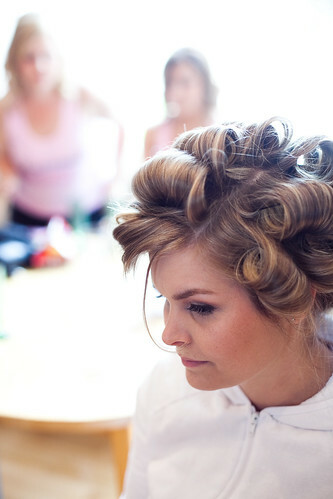 You need to decide how much time you want your photographer to shoot the pre-ceremony getting ready process. Based on my experience, I would advise less time spent with the groom so that the bride can get the shots she truly wants.